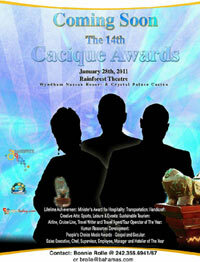 The BHA Cacique Awards program is an incredibly powerful motivating tool. A little bit of your time in preparing an application goes a long way in recognizing excellence and reinforcing employee motivation and loyalty - not just with your nominee, but throughout the ranks of your employees. Each year, the Bahamas Hotel Association (BHA) recognizes a number of individuals in the hotel industry for outstanding achievements. These individuals are named as those representatives who best exemplify the service and spirit of the hotel business in their respective positions. The BHA Awards program was initiated in 1987 on the occasion of the celebration of the 35th Anniversary of the Bahamas Hotel Association. 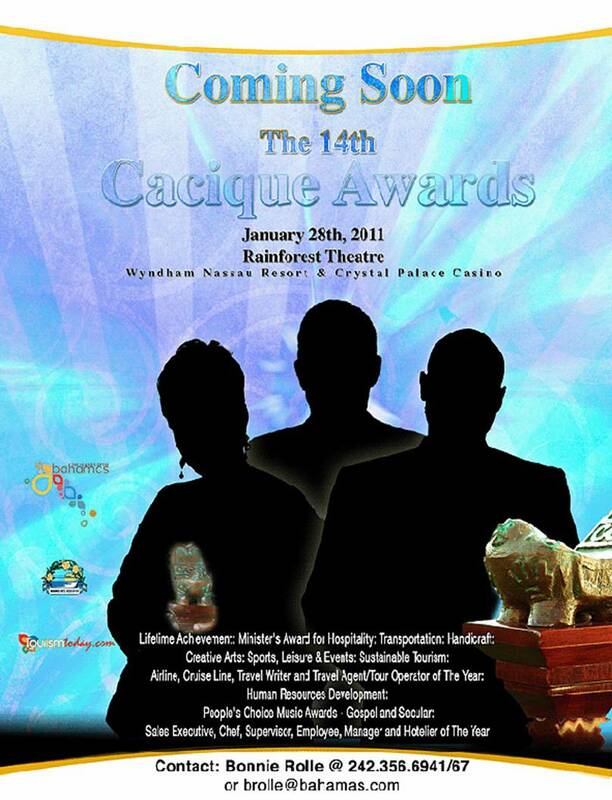 Beginning in 1995, the BHA Management and Personnel Awards became an integral part of the Ministry of Tourism's Cacique Awards Program, which recognizes the role played by individuals who make particularly valuable contributions to the national growth and development of tourism in The Bahamas. For the past twelve years the BHA's Hotelier, Manager, Chef, Hotel Sales Executive, Supervisor and Employee of the Year have been honored at this ceremony along with other Cacique Award winners. Please help us maintain this high tradition and act promptly to ensure the inclusion of your candidate(s) in the judging exercise.